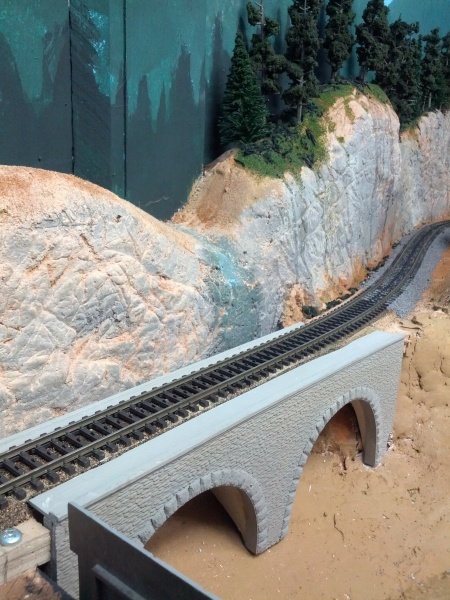 ... on freshly ballasted track, over bridges, on roads. 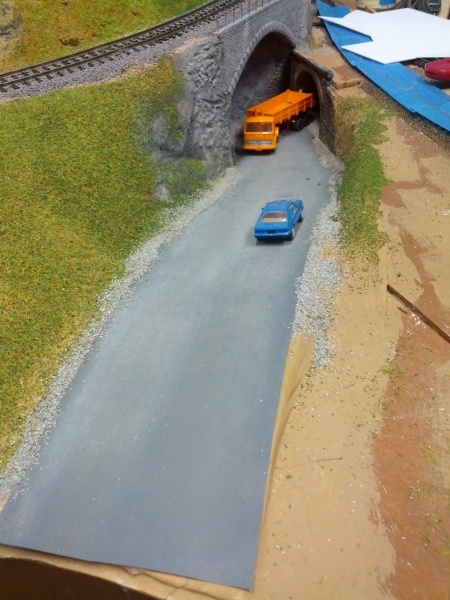 This is the section of road that started the recent explosion of scenery activity. The base material is 1600 grit wet sanding paper glued to a cardboard base followed by lots of swearing, and finally an application of Bragdon power paints. The biggest problem I had with this was that the sanding paper didn't want to stay glued to the substructure. Note to self: white glue = bad idea. Tightbond II wood glue = good idea. I will try another technique for building roadways the next time. Probably styrene. The bridge just north of Emsingen is coming together now as well. There still many details missing, especially in terms of vegetation and routing a small waterfall to the gully that crosses under track to the right just outside this picture. 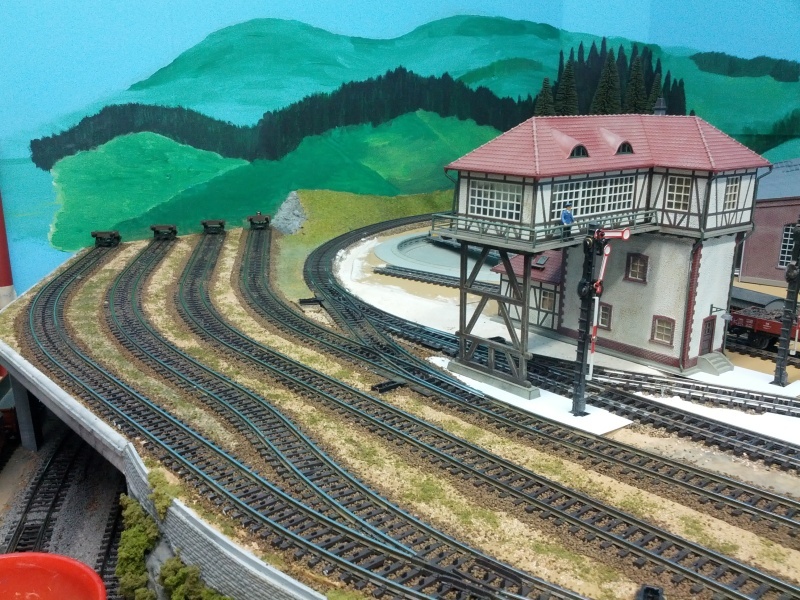 The yard in Emsingen got ballasted, and I de-maerklinized the bumpers at the end of the tracks. Compare the look to an earlier post. Nothing worth doing is worth doing without swearing. Occasionally this leads to hair loss, too.